While the Cook'n Club readership covers a broad spectrum of our population, a large percentage of Cook'n Club Newsletter fans are cooking for just two. And those of you in this boat know what a challenge it is. 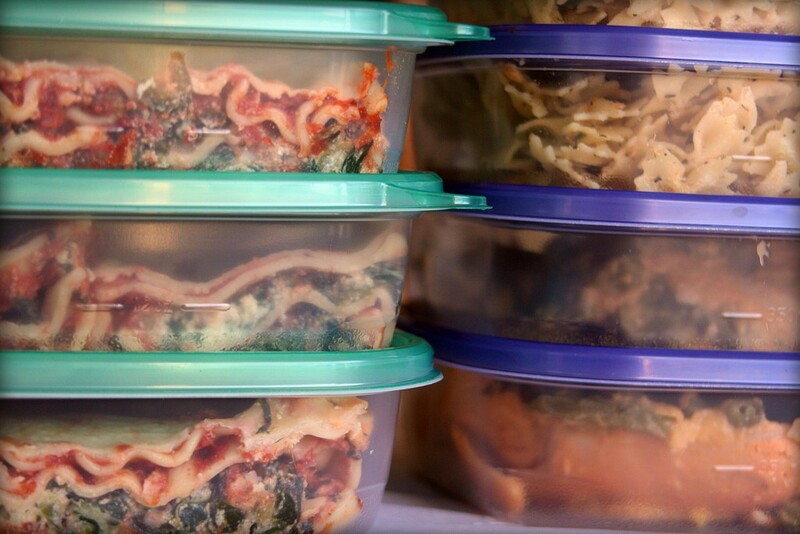 Sure, there's always the "cook it and freeze it" approach, but honestly (and maybe it's just me), too much of the time the things I've frozen, thawed, and reheated just don't have the zing they did the first time around. So I've been wondering if there isn't a different, if not better approach to cooking for two. "What's needed is a redesign of your recipe to serve two by trading a baking pan for a loaf pan. But don't stop by just cutting the recipe ingredient amounts down and using a smaller pan. Add a few new ingredients to the sauce to give more flavor and richness, for instance. 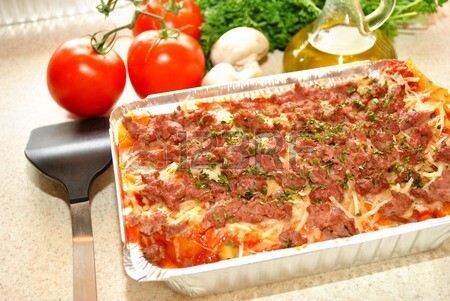 Then add a time-saving technique (no-boil lasagna noodles that fit neatly into the loaf pan. Not too much, not too little-just the right amount)." And not to leave me hanging, the article went on to say that a redesign for a typical lasagna sauce might include mixing the meats. Ground beef mixed with ground pork and Italian sausage, as an example. Adding fennel seed to that and then blending in grated Romano cheese as the sauce cooked, was another suggestion. OK, I was getting the idea. Redesigning our favorite recipes is doable and sounds like a fun adventure. But I was wondering about the chore of doing the math to scale the recipes down to serving 2 rather than 6 or 8. Then I remembered: My Cook'n 11 recipe organizer can do all this for me. 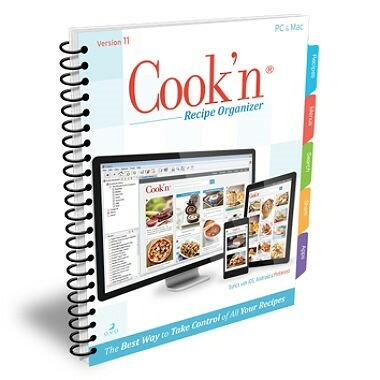 With Cook'n I can scale down ALL my favorite recipes to properly serve just the two of us in just minutes. 3. Click the "Makes ___ Serving" button next to the word "Serves"
4. A Change Serving Size window will appear. It will show the number of people the recipe currently serves in the "Number of people to serve" field. Type in the number of people you want to serve. 5. 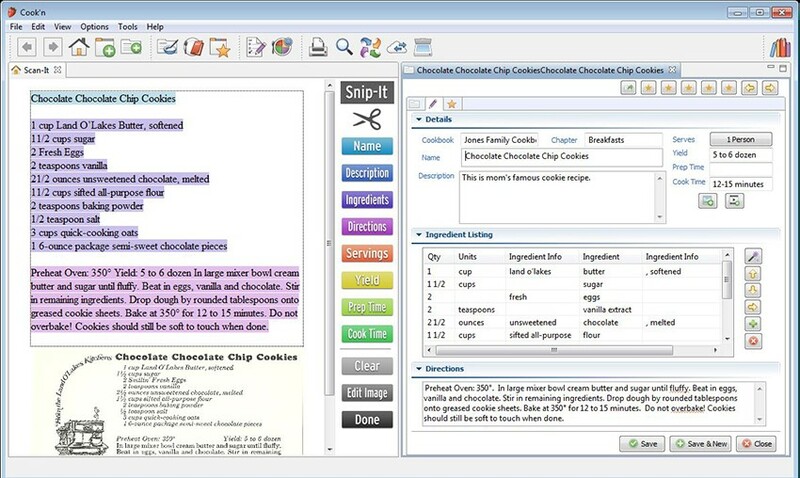 Check the box "Automatically adjust recipe quantities"
The quantities for every ingredient will change to reflect the change in the amount of people to serve. It's just that easy! So armed with the ability of our Cook'n 11 to quickly change our recipes to serve 2 (so that's the only amount I prepare in the first place) and with the idea of redesigning our recipes, we can now cook for two so our favorites don't wear out their welcome!